Heart Rate Monitors: chest strap versus wrist based. 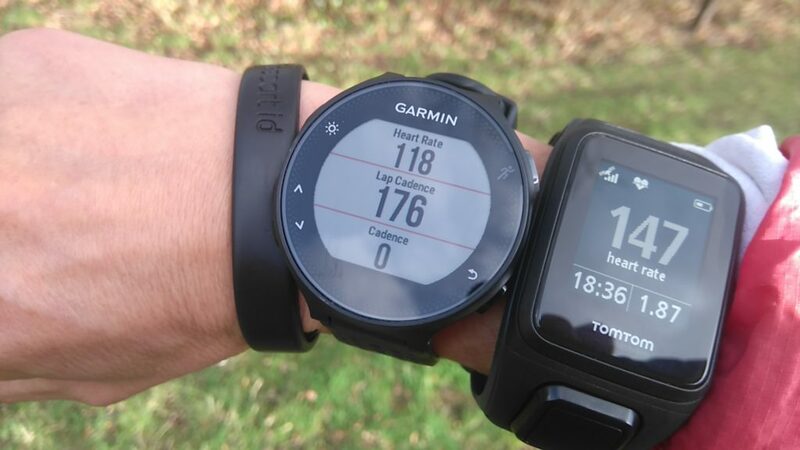 Heart Rate Monitor watches come in two forms: chest strap and wrist sensor – but which is best? In my experience watches using the wrist based optical sensor give less accurate readings than chest straps. However this doesn’t mean that everyone will experience the same issues; skin tone, visceral fat, body hair, and skin temperature can all affect the optical reading although advances in technology may iron out some initial problems with early model optical sensors. This photo shows me wearing two wrist based HRM watches, one showing a heart rate of 118 beats per minute, the other 147, a big discrepancy! Which, if any, should I believe? Note I also wore one watch on each wrist and tested them several times, seldom getting the same reading. On the plus side, wrist based monitors dispense with the need for the chest strap that some people find irritating and uncomfortable. As mentioned above, both from personal experience and other anecdotal evidence, if you want accurate readings you’re better opting for a watch that uses a chest strap. However these are not without their shortcomings: my old chest strap would only work if it was moistened before wearing – licking it seemed to work (my current strap which came with the Garmin Fenix 3 is much more reliable); they can be uncomfortable and can slide down whilst running if they aren’t tight enough and they get sweaty and start to smell if not washed regularly. Also the battery needs changing occasionally although this is a fairly straightforward procedure. 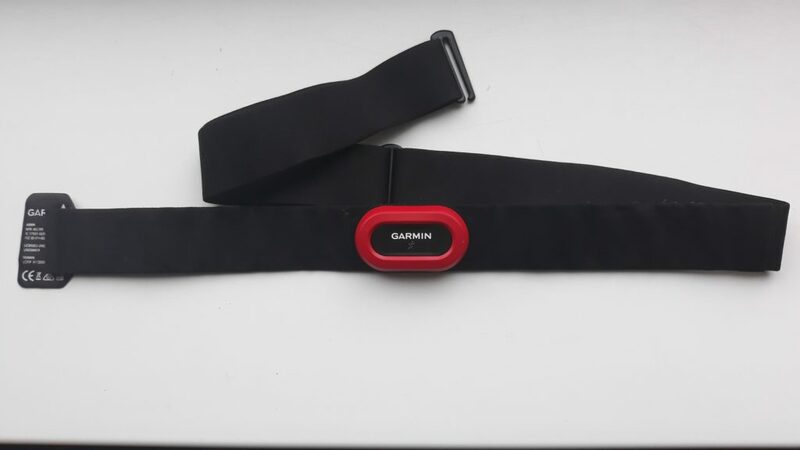 One bonus of the chest strap version is that some of the more sophisticated watches use the transmitter to measure “running dynamics” such as ground contact time, vertical oscillation and left / right ground contact balance. 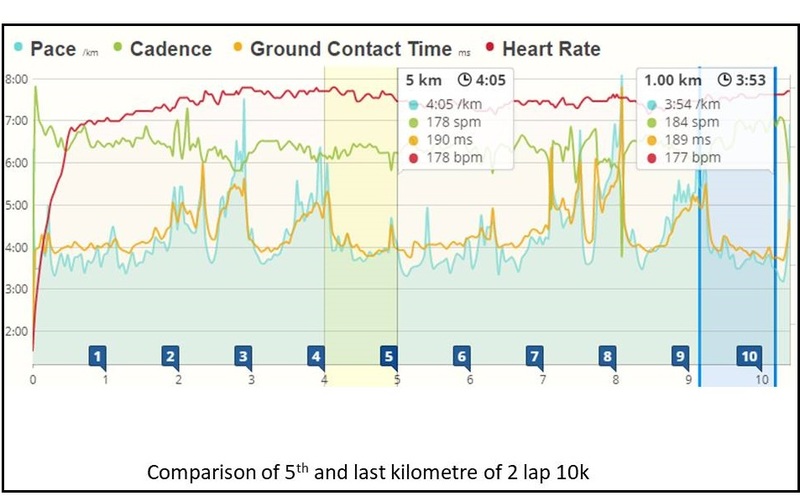 Whilst this might be more information than many runners might need I find it really interesting from a coaching point of view and also to analyse my own training, for example comparing ground contact time at different stages of a run or race. geeky stats comparing ground contact time etc. I also find it interesting to compare ground contact balance (the percentage of time each foot is in contact with the ground during a run). I’ve noticed that injuries or niggles lead to changes in the balance, a sore left hamstring for example will mean more time in contact with the ground on the left foot. more geeky starts – injury on right leg? Another major reason that I prefer the chest strap over wrist based monitors is to do with how easy it is to see my watch during a run. I often glance at my watch whilst training, for example to check my heart rate so that I’m not running too fast on what is supposed to be an easy paced run, or if I’m doing intervals to know when to stop (e.g. 4 minutes fast, 2 minutes jog). Or it might simply be that I want to know how far I’ve gone or how long I’ve been running for. I prefer to wear my watch over my jacket or long sleeved top meaning that I can simply glance at it whilst running. It also means that the buttons are easily accessible to switch screens or record a lap. If I was wearing a watch with optical HRM then the heart rate recording wouldn’t work if it was worn over layers of clothing. I’d need to pull back layers of clothing to see it and access the buttons or wear my sleeves pulled up slightly which would mean getting cold or wet wrists and arms in bad weather. In summer when wearing short sleeves this wouldn’t be an issue – but for most of the year it is! So for me the accuracy, the additional running dynamics offered from the transmitter and the fact that I can wear the watch over layers of clothing whilst the HRM is recording mean that I would choose a chest strap device over a wrist monitor. Posted in Blog, Equipment and tagged heart rate monitors. 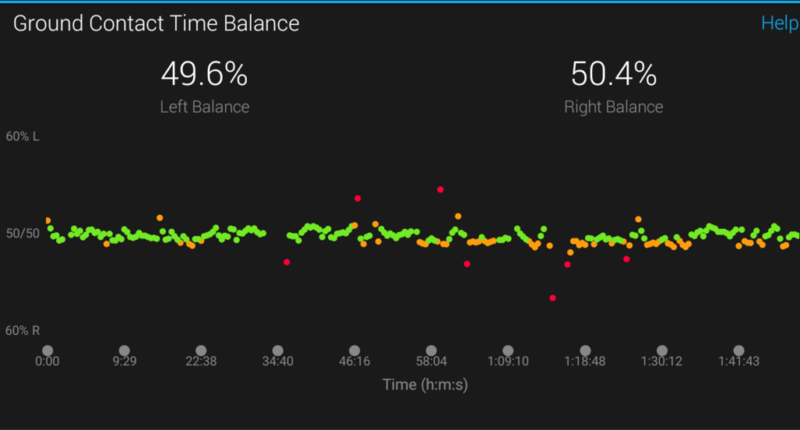 Don’t forget the option of “arm” based optical – I have a Polar OH1 which gives better results than my chest strap (Tickr), which, as is common, is slow to lock on at the start and can lock on to running cadence. OH1 works great on a bike as well, although it’s Bluetooth only and only 10 hour battery life. Also Scosche are bringing out an updated version of their well regarded Rhythm – the Rhythm 24 – any time now. Thanks John. That would solve the problem of not being able to wear your watch over your jacket. Whether or not it would be more reliable than wrist based optical sensors, I’d have to try it myself to see.